This great advertisement for the guitar store that stands behind it with the same name is an imitation of another popular tree - the shoe tree. 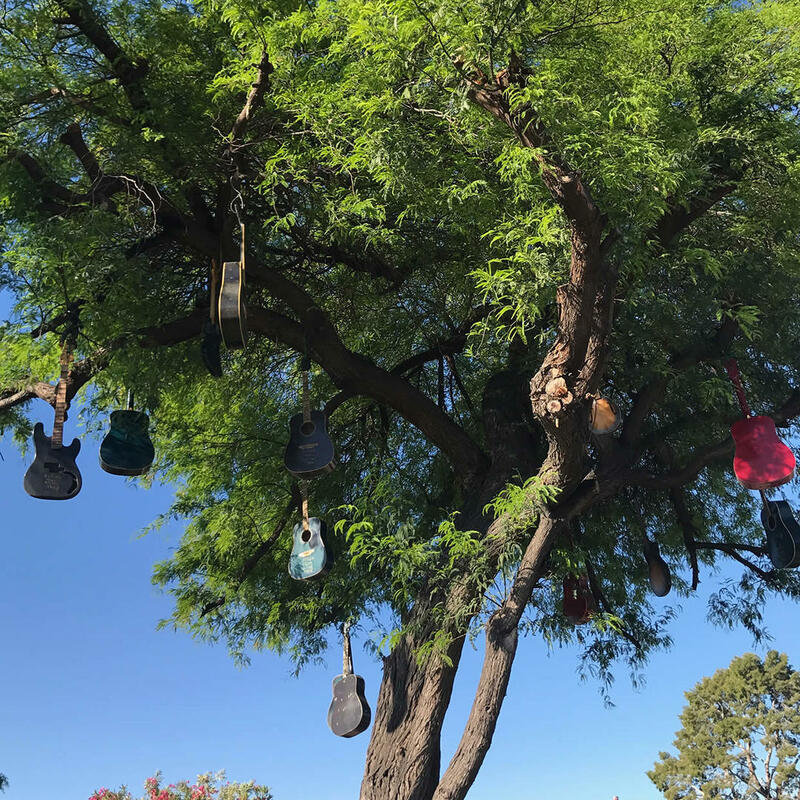 This tree has guitars hanging from it like heavy fruit. The question is are the guitars playable after you pick them?